Most of the time, a correct and efficient investment strategy turns out to be complicated and time-consuming. This issue might be even more complex for people with weak financial knowledge combined with the little availability for personal bankers. Finbitz is a robo-advisor, 100% digital that provides automated, algorithm-driven investment management. Through the platform, the client will respond to various questions about him/her, his/her objectives and his/her personality so that the algorithm is able to get to know the persons and their ambition. Once completed, Finbitz suggests automatically a tailor-made investment strategy via a diversified portfolio of assets. Once invested, clients can follow in real-time the performance and the evolution of the portfolio, invest more money, withdraw part or the totally of the capital gains. 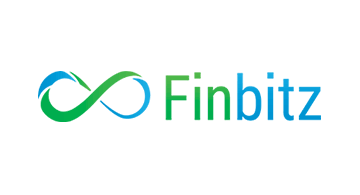 Also, Finbitz’s technology identifies the evolution of the financial market conditions and adjust on an ongoing basis the client’s portfolio to its optimal target allocation. The main advantage of Finbitz in addition to offer an easy, personalized and accessible investment solution is the extremely low level of management’s fees in the context of target’s countries with 1) few effective competition and 2) a minor level of sophistication of the financial markets.